Industrious Mural — Darn Good! 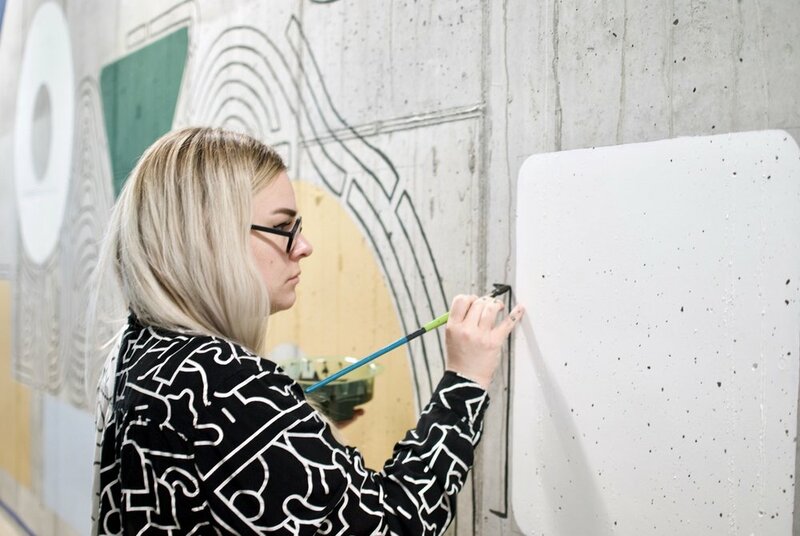 Industrious commissioned a custom mural for their brand new space in North Loop, Minneapolis. This space is gorgeous, dark, and full of leather and decorated to absolute perfection. I'm so glad I was able to bring their wonderful, rich color palette to life in an abstract form. The rigidity of the shapes combined with freehand illustration make for a fun and friendly vibe for a workspace.